Running is currently considered the most practised sport in the world and has become a genuine trend. Specifically, in Spain it is estimated that close to two and a half million people put on their running shoes every week. Despite its success as a sport, there is widespread ignorance of how to do it in a safe and healthy manner, to which competitive social pressure can be added. In this context, the figures show that a high percentage of runners suffer some kind of injury during their sporting life, something which can be easily avoided by learning the correct technique. Following more than 25 years as leaders in the field of movement and, thanks to their journey around the world training hundreds of professionals in pilates with Polestar Education, their founders decided to embark on a new journey by exporting their experience to the world of running. 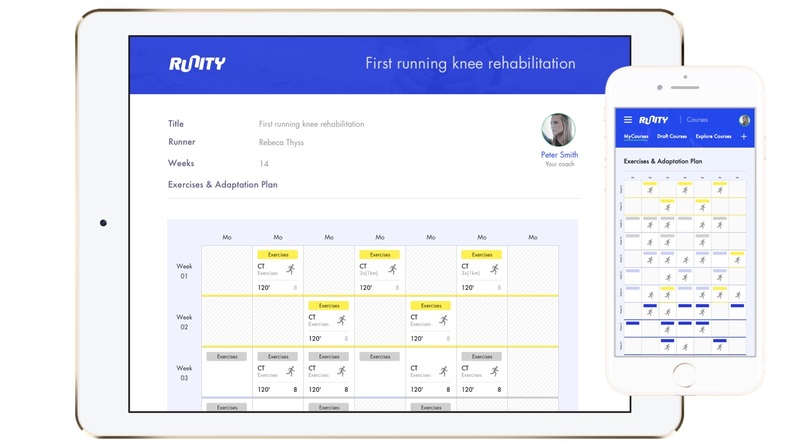 The aim of Runity is to help as many people as possible by transforming the way in which they run: without injuries, without pain, in an efficient way which is based on the latest scientific knowledge. Furthermore, they wanted to create a worldwide community aimed both at trainers and runners, from their germ creating a place to start or to transform the way in which they run. Besides thinking about the design and the development of the product, we had to widen our vision to the complete service and approach, amongst other things, the generation of branding and naming, as well as establishing an associated marketing plan in order to expand the product to its maximum potential. The starting point contemplated a universe of functions: e-commerce for the sessions, an e-learning platform for training the trainers, a social community for finding teachers and running clubs, a content manager including tutorials, articles, videos... and a generator of personalised running plans. Given the different complexity of each one of them and the added value which they could offer, the first stages of the project focused on designing a strategic plan to establish phases and to prioritise functions. "What were the core functions of the service? What were our resources at each step of design and development? How could we at least guarantee a viable product considering development times and budget?" Those were some of the initial questions that we asked ourselves and the conclusions, following various workshops aimed at defining the product and the business, were firstly to generate the part concerning the trainers, to start the exploitation and monetisation of the business as soon as possible and, subsequently, to promote the provision of income. Only in that way were we able to increase our resources and be better prepared for addressing the needs of the other large group of potential public, the runners. Although there were initially two large groups of potential public, trainers and runners, there were actually many more subtypes of profiles. We researched and analysed each profile category in detail, their needs, their demands, their expectations, their knowledge and their possible contact points with the platform and the Runity method. Four main subtypes of People emerged: runners, trainers, educators and experts; Each one of them with specific needs which should materialise themselves in the architecture of the platform itself, but also with the business need to unify them all in one space. Exploring the visual line became the lead runner as it was necessary to establish an integrated image, a brand which would transmit values related with well-being, movement, scientific evidence and community, and that could be exploited in different merchandising elements, with the added complexity that each of these subtypes of profiles belonged to many nationalities, differences in culture and the way in which sport is considered. 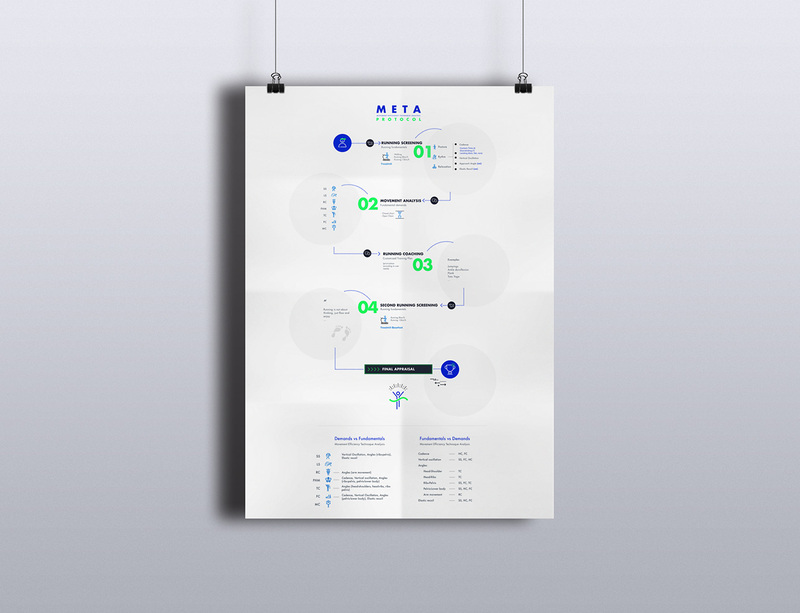 In order to achieve a complex and coherent product, all of the brand values needed to be revealed both in the architecture of the platform and in the navigation and interaction model: it was necessary to transmit the feeling of union and community through the design of each of the product’s details. This phase implied strategic points of the project. The definition of the product considering each user profile was linked directly to the construction of a solid business model for its release onto the market and a marketing plan which was in as much specific as flexible and would enable the product to be publicised around the world via the different channels with an integral vision. The design and development phase tested the flexibility of the general strategic plan that was devised at the beginning of the project as one of the functions stood out especially and turned out to be a unique tool on the market which deserved to fulfil its full potential: the generator of personalised training plans. Therefore, we restructured phases and resources and prioritised the development of a tool which was comprehensive and versatile for trainers and visually simple and clear for runners, leaving in the background other functions which could be leveraged on third-party platforms saving on costs and inversion in development. 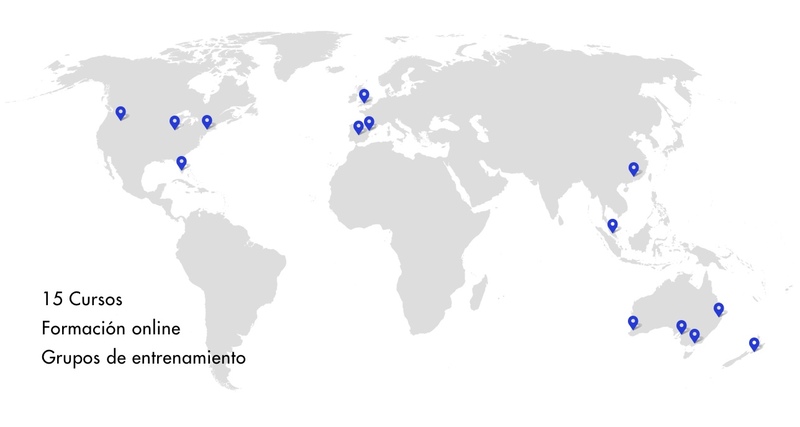 To this day, Runity has issued 15 courses in different countries around the world, has launched a training programme which is entirely online and has various trainers and running groups using its method on several continents. A long-distance race in which we made it onto the podium.